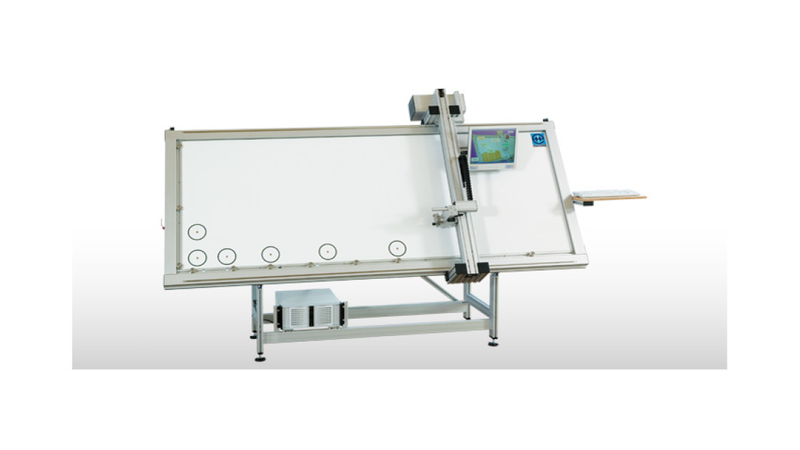 The PC-DesQ table is suitable for exact manual measurements of work pieces in the furniture industry. Thanks to the easy and user-friendly operator guidance with a touch screen and computer-controlled measurement program. The programmes deliver comprehensible and reproducible results, as well as complete documentation for further analysis. sample length, sample width, angle accuracy of edges, X- and Y-coordinates of holes, relative distance between two coordinates, as well as the relative depth and diameter of holes and grooves. The values can be stored on the PC or network server and can then be released as protocols. For comparison of plan and actual values data can be uploaded out of different import data (machine data, drawings). Parts out of tolerance are highlighted red, the operator can see the differences immediately and can react. Setting up time for machines are shorter and failure in output reduced. The measuring program can be opened by entering the article number in the touch screen or by using a barcodescanner.